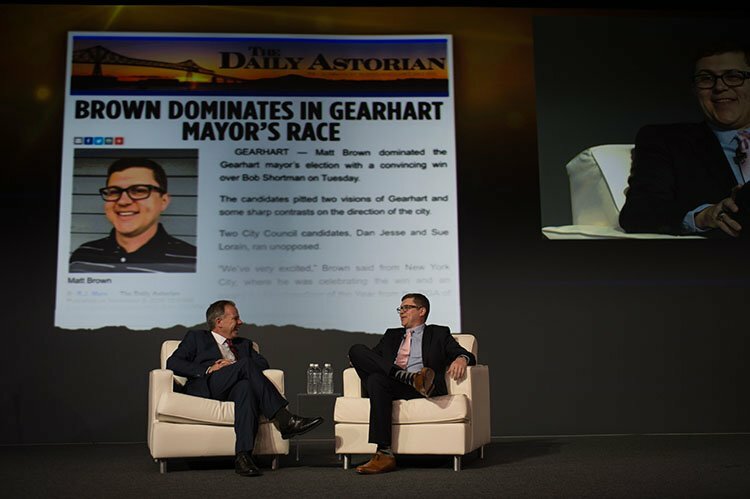 In addition to receiving his national award November 10 at the Grand Hyatt in New York City as 2016 PGA Merchandiser of the Year-Public Category, he was elected Mayor of Gearhart, Oregon on Tuesday, in a landslide. Using a “Matty for Mayor” campaign slogan, Brown won with nearly 80 percent of the vote in the coastal resort town of nearly 1,500. To compare, the previous mayoral election was decided by just five votes—and there was a recount. “This whole week has been amazing, really one of the coolest weeks of my life,” said Brown. The popular PGA General Manager and Head Professional at Highlands Golf Club in Gearhart will serve in the unpaid, volunteer mayoral position that he plans to work around his day job in the golf shop. The Gearhart City Council meets once a month. Brown campaigned through traditional avenues, such as meet and greets, as well as modern day social media outlets. Brown joins fellow Oregonian PGA Professional Bill Rosholt in the political circles. Rosholt, a member of the Pacific Northwest PGA Section Hall of Fame, served for five years as Union County (Oregon) Commissioner.